When it comes to an investment as big as your home, there are some issues that simply should not be overlooked. Some things slip through the cracks, like a room that needs to be repainted, an out-of-date bathroom or kitchen, or other problems that are most likely cosmetic. While you would want to pay attention to those items if you were interested in selling your home, there are more serious issues that can affect the very whole of your investment and need attention as soon as you notice a problem. Things like a leaky roof or a broken water pipe would be on that list. Another item that should be on that list are issues with your foundation. 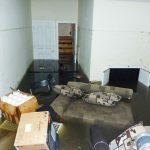 This article goes on to explain the top 7 signs of a sinking or shifting foundation. Take a few moments and see if you’ve noticed any of these signs. If you have, you may well need a foundation expert to do an assessment and find out right away the seriousness of the issue. There are several signs that you may have a shifting or sinking foundation. Some of those can be seen on the inside of your home and some from the outside. Sometimes both! Below are the most obvious signs you can look for. Chimney leaning or beginning to separate from your home. If you notice your chimney is beginning to separate from your home, that’s a sure sign that you have a foundation or structural issue that needs to be addressed. When a home settles, it shifts and if everything doesn’t shift with it, such as a rigid brick or concrete chimney, it will begin to show after time. Cracks in exterior walls. 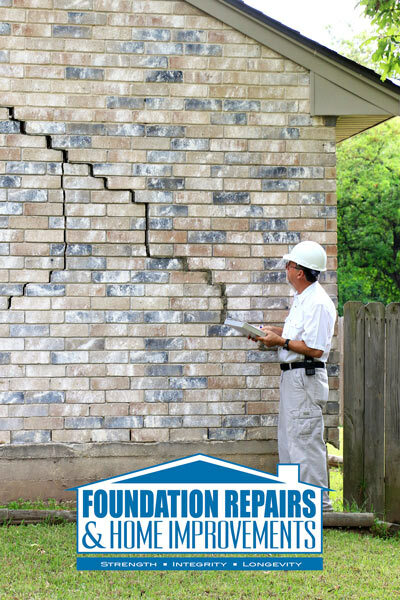 A shifting foundation will usually begin to form cracks on the exterior of your home. These cracks can usually be seen in concrete blocks or the mortar of your home’s bricks. It may cause issues with doors and windows not opening and closing correctly. It can also affect floors, steps, interior walls and cause water issues. Cracks in interior walls. 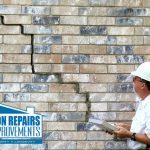 That same shifting foundation that caused exterior cracks to form in bricks and concrete blocks can also show up inside your home. The walls of your home shift along with the rest of your house and you may see cracks form in the sheet rock or plaster because of it. Uneven floors. In older homes, uneven floors are quite common but most likely, that’s because the foundation has, over time, moved into a different level of the ground beneath it. 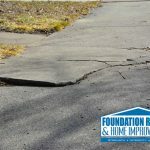 If you notice your home’s floors aren’t level anymore, that’s a good sign that a foundation issue exists and needs to be inspected by a professional foundation repair technician. Windows and doors sticking. Another sure sign of foundation shifting is when doors and windows begin shifting. Once again, the foundation has moved in one or more spots caused the home to go out of level. Since doors and windows are separate structures held within the frame of your home, they retain their squareness while the actual frame does not. Cracks in concrete slab. A cracked slab means only one thing. The Earth below it has shifted and the concrete’s rigid form has released the stress caused by that shifting in the form of a crack or cracks. Bowing basement walls. When the soil outside your home’s walls becomes over-saturated with moisture, it puts pressure on basement walls. That pressure in turn creates a bow or a crack in the basement walls, and eventually, a collapse. A collapse of a basement wall can be 100% devastating to the structural integrity of your home. If you notice bowing basement walls, please seek out a professional right away. 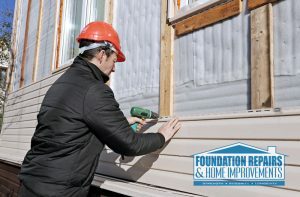 The team here at Foundation Repairs and Home Improvements are the oldest, most trusted foundation company in Alabama. We can assess any type of foundation problems, basement waterproofing, and other foundation-related issues you may have with complete accuracy. 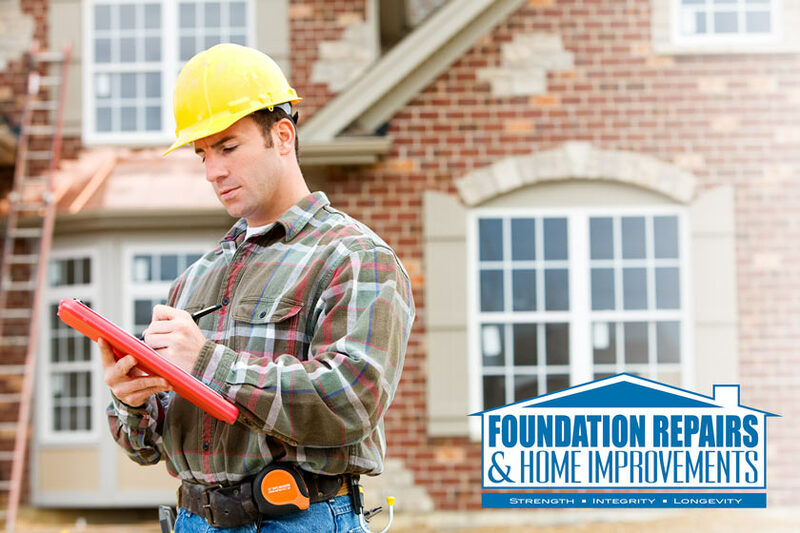 There are a few methods that we employ when addressing the best possible solution to your home’s foundation issues. Wall braces are great for basement wall issues while, helical tie backs are used to anchor and stabilize to prevent future cracks. There are other ways to restore the level inside your home’s structure so that floors, doors, windows and more are in perfect working order. Give us a call today at (800) 443-6172 and get a free quote! You can also fill out the form on this page and we will get back to you shortly.